24 MAY, 2017. 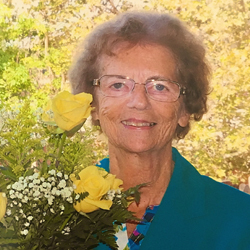 The Louisville High School community in the California region recently honoured Sr Myra McPartland for her 33 years of service as guidance counselor, as principal and, since 2002, as its first president. 24 MAY, 2017. The first concert of the St Louis Youth Choir, from Beauce-Étampes, France, took place on April 2. The choir was founded in 2014 by MaryJo Abba SSL. 27 APR, 2017. 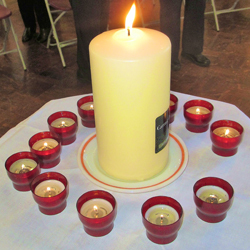 The annual Mass of Remembrance for deceased Sisters and Associates took place on April 2 in Cuisle, St Louis High School, Rathmines, Dublin, Ireland. 27 APR, 2017. 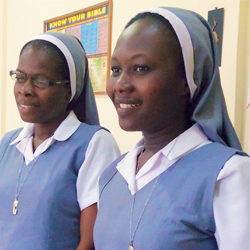 Two novices and two postulants were received into the novitiate in the Ghana Region on April 4. 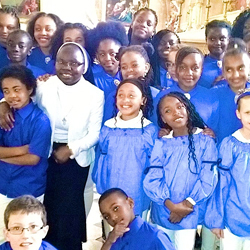 The novices and postulants were surrounded by sisters from the Central Leadership Team, the Regional Leadership Team, and sisters from various communities in Ghana, who all shared in their joy. 29 MAR, 2017. 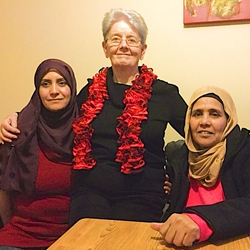 The Monaghan Fáilte Isteach Group, which was established by Anne Jordan SSL, celebrated its first birthday recently. 29 MAR, 2017. 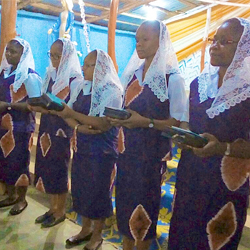 Congratulations to the five women who were received into the family of the Sisters of Saint Louis as new postulants on February 2 in Dassa, Republic of Benin.